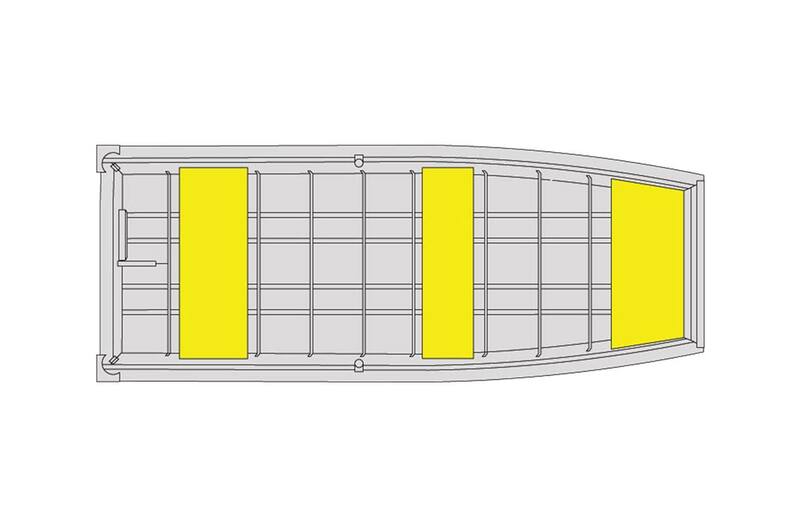 2019 Lund 1436L M Jon boat features long shaft transom, stern handles, bow eye, oar locks, seat storage, and Dead Grass Green color. Perfect hunting and fishing Jon boat! Fish or hunt where others can't with a Lund Jon boat. These goose or duck hunting boats have a flat bottom design for you to fish or hunt in extremely shallow waters. Jon boats are perfect for your duck hunting adventures and are easy to transport from pond to pond. Lund's duck or jon boats deliver the ultimate strength, whether you're fishing, hunting, or hauling. You can't go wrong with a Lund Jon Boat.